One of the top New York City sights is the sight of the city itself. The iconic silhouette of towering skyscrapers dominating the smaller buildings to the north punctuated with the unforgettable architecture of the Empire State Building, Chrysler Building, and Freedom Tower is world-renowned. 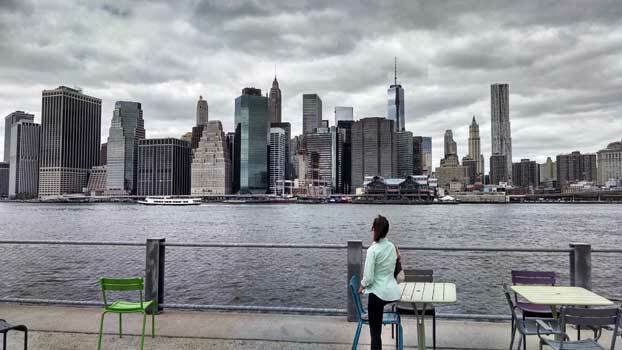 In order to appreciate the cityscape in its entirety you’ll need to venture outside of Manhattan proper to one of these prime spots for skyline viewing. Accessible by subway, bike, or a walk over the Brooklyn Bridge, Brooklyn Bridge Park not only offers up prime views of lower Manhattan and the Statue of Liberty, but with a carousel, rotating art exhibits, various events, and a vibrant surrounding neighborhood, it’s a place to enjoy all on its own. If you’ve ever traveled out of New York City via the Lincoln Tunnel you’ve probably glimpsed a view of the awe-inspiring skyline for a few of seconds on the helix ride into New Jersey. 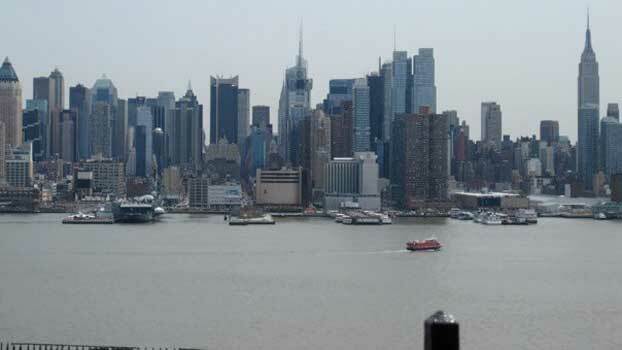 Rather than rushing to traffic on the New Jersey Turnpike, take the Boulevard East exit (right off the helix) and follow the road about half a mile for this breathtaking view on the Weehawken, NJ waterfront. Enjoy a leisurely stroll atop the Weehawken cliffs, a picnic in Hamilton Park, and note the historic former dueling grounds just south of the park where Alexander Hamilton and Aaron Burr had their famous stand off. 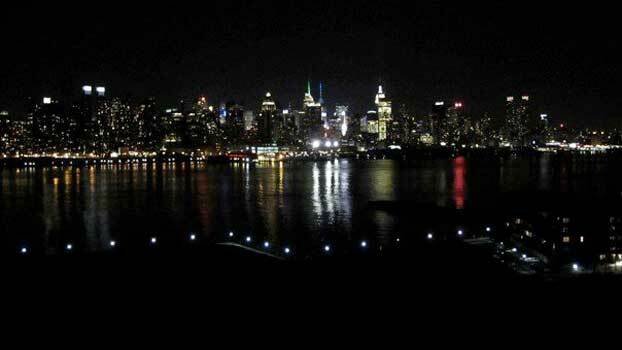 An eight-minute ferry ride from midtown Manhattan, Port Imperial sits on river level just below the Weehawken cliffs. Feel free to bring a bike and follow the Hudson Waterfront Path all the way to the George Washington Bridge while watching the buildings turn from midtown skyscrapers to uptown townhouses along the water.